These swords, the elven knives, are very high quality. They are full size at 24" long. The blades are stainless steel and the handles wooden. They come on a nice wooden display board. 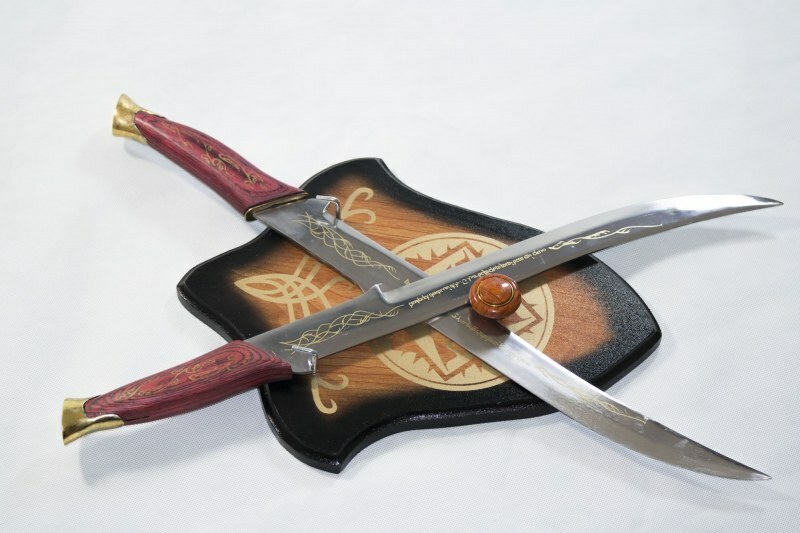 The Elven Knives come as a 24 inch long pair of knifes weighing 430 grams each. Featuring a red dyed wooden handle with a metal pommel on the tip of the handle. The blades are made of 440 stainless steel. The set of knives also come with a wall mount to hold them both up for display in a crossed blade configuration.